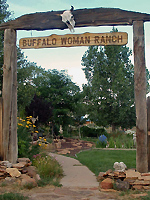 The Buffalo Woman Ranch is dedicated to providing a sacred space of community where horses and humans are supported in discovering and living their true nature. Located in Colorado, the ranch is nestled between the Blue Mountains in Utah and the Four Corners Area. It is a 50 acre sanctuary whose purpose is to facilitate renewal at a deep level for all who enter. We invite people to experience their wholeness as it is already present within themselves. Integral to this process are the animals who share in this ministry. The ranch provides workshops, horse interactions, counseling, energy Kinesiology (for releasing trauma/limbic system balancing), wisdom council, shamanic journeying, ceremony, lodging and vision quests. We offer individual intensives/retreats as a co-creative journey. Intensives at the Buffalo Woman Ranch are focused on being authentic in all relationships, through the Way of the Horse. We co-facilitate the Equine Experiential Learning aspect with our herd of horses, as well as teachings on authentic community. When you are in a sacred space to feel your feelings and hear false self messages, a lot can be explored in relationship to experiencing “congruency” in the round pen of life. 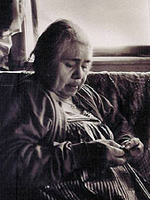 Its pristine beauty and untouched sacredness filled us with a knowing that at long last we had found the place to dedicate to White Buffalo Calf Woman, the great spiritual teacher of the Lakota people. The day Spirit was born, our co-founders met Linda Kohanov and Kathleen Barry Ingram at their ‘Epona Approach’ workshop in Tucson, Arizona. Linda’s horse Rasa had given birth to premature twins, one lived and was named ‘Spirit’. It was a momentous time in our lives after reading “The Tao of Equus, ” knowing that we had found our life’s work. Linda and Kathleen have given us inspiration, as they showed us The Way of The Horse. We can truly honor them and say that our lives have been changed forever.